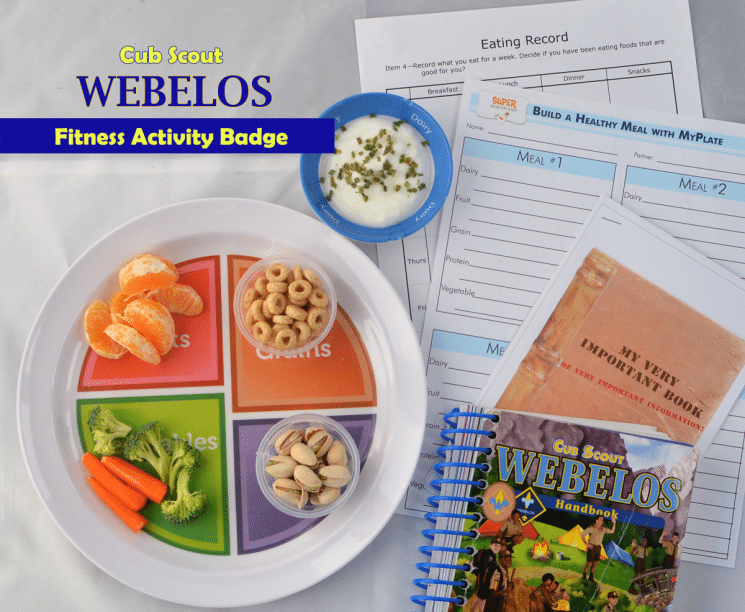 I had the opportunity to teach a group of 10 year old Cub Scouts (Webelos) a nutrition lesson to earn their Fitness badge yesterday. I actually love teaching this one. 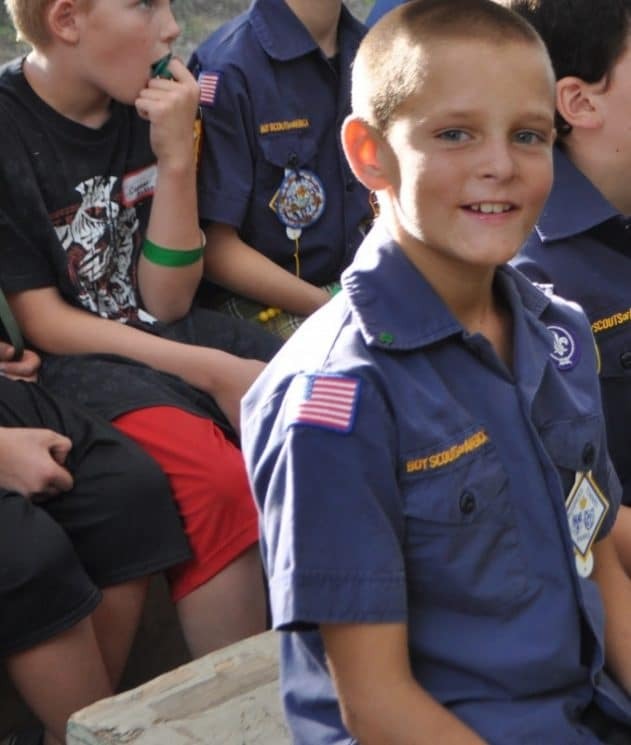 I have taught it at least 6 times to different cub groups in my area. But those boys are CRAZY!! And cute. And Fun. And super smart! I usually don’t have to teach them much, because their parents have done such a great job teaching them. While this lesson is patterned after the Webelos requirement (replacing the old MyPyramid with MyPlate of course!!) you could teach this lesson to any children! 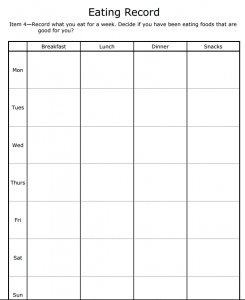 In fact, home schoolers, public schoolers, and parents just wanting to talk about nutrition with their kids can use this template for sure! 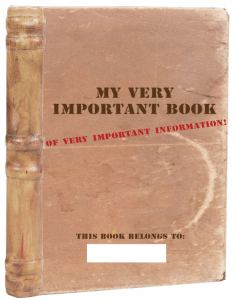 1) Make a Safety Notebook. A very clever den leader (which is not me) created this printable that I’ve used. We fill out the section with important phone numbers. Why is being safe part of being healthy? What are some consequences of not being safe? What are some house rules you have that help everyone be safe? Lastly, they fill out the section that talks about their own house rules (or for the sake of time, I tell them to do this with their families at home). Why is this food group important to eat at your meals? Vegetables: They have vitamins, minerals, and fiber that help our body do it’s job like pump blood through our body, digest food, and clean out our cells. Fruits: They have vitamins and phytonutrients that keep us from getting sick (vitamin C) and even avoid diseases. Protein: Helps us to grow muscles! Dairy: Helps build our bones. 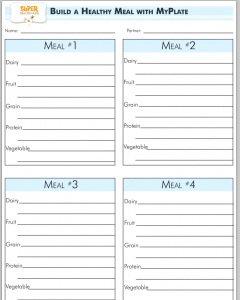 Then we fill out the meal planner. This has a section for four meals. The first one I have them write which foods they typically enjoy for breakfast, and include each food group. We also do this for lunch, a snack, and dinner. Make sure they remember the importance of eating foods from each food group. What effects does smoking, alcohol and drugs have on your body? What are some reasons to avoid these things? What are some good strategies to avoid these things? Need more? I have our Wolf Badge Day here. And other lesson plan links here. We also now have our full K-5th and 12 and up lesson plan to download in our store. Check it out here! Every teaching opportunity where kids learn about the importance of healthy eating is an opportunity to reverse the prediction that this is the first American generation not expected to live as long as its parents. 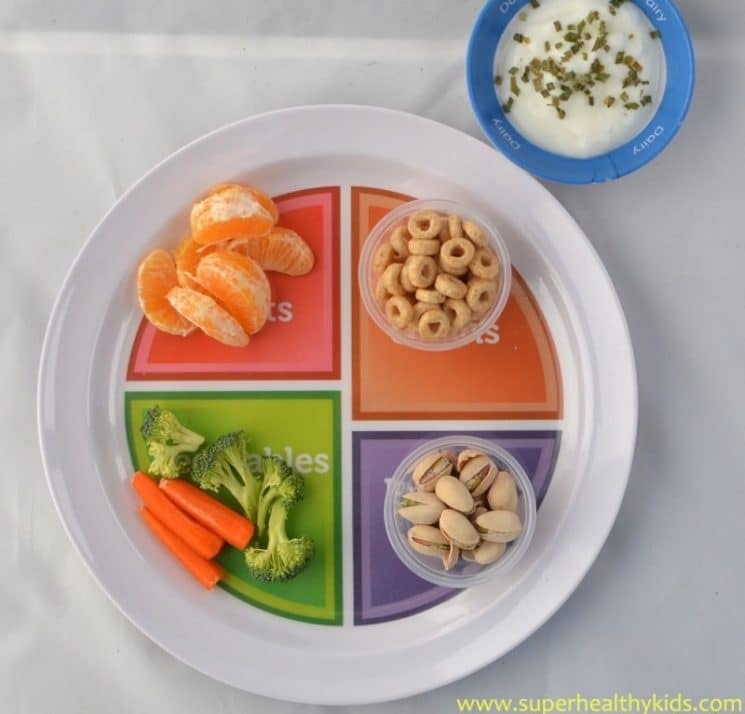 One thing I have done with small groups is cut out food pictures from magazines/newspapers and have them build a healthy plate (gluing the pictures onto a paper plate). Last week for my son’s preschool, I had the kids build a healthy food rainbow* and read my children’s book on healthy eating, An Eating Creed Indeed, Indeed. So much fun! *I brought (apples, oranges, cucumbers, red/green/yellow peppers, broccoli, white and purple grapes, radishes, mushrooms, green beans, eggplant, carrots, watermelon, cantaloupe). I appreciate your post. As a Wolf den leader, I was looking for ways to adapt from the pyramid to the myplate guidelines. Thanks!